All Highlights of Southern Peru! Experience life, living culture, ancient language, andean traditions, peruvian cuisine during this trip of Affordable Peru Tour! 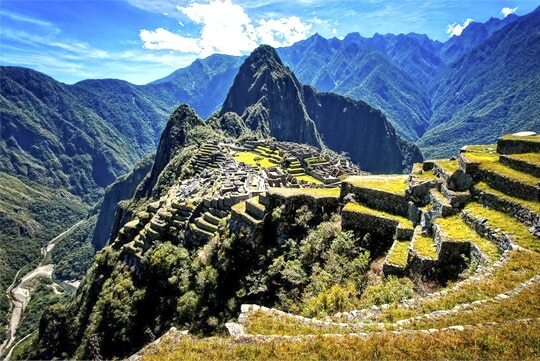 Peru has full of impressive wonders to explore and this Affordable Peru Tours will take you through the most prominent places Peru has to show. 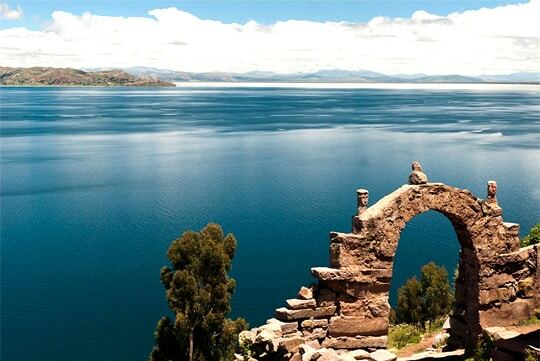 In just one trip of 18 days you will be able to experience the peruvian cuisine, navigate the Ballestas Island, visit a peruvian traditional vineyard, tasting the peruvian wine, flight over the Nazca Lines, White city of Arequipa, the largest Andean flying condors in Colca Canyon, local living in Titicaca Lake, the ancient capital of the Incas “Cusco”, Sacred Valley of the Incas, share organic lunch in Sallco community with a local family, Incomparable Machu Picchu, “Lost City of the Incas”, explore the mysterious rainforest of the Amazon in Tambopata. Pick up from your hotel at around 09:00 am, in company of your guide you will visit the local market in order to learn about the variety of products and ingredients we have in Peru, then you will continue directly to the restaurant where the specialist chef will be waiting for you. Around 11 am you will start with your cooking class, this class can be done vegetarian and vegan on request. After breakfast at the hotel, pick up at around 07:00am and transport from Ica to Nazca (journey approx. 2 ½ hours), upon arrival to the Airport of Nazca, continue with the fly-over of Nazca lines. You will witness figures like the monkey along with a spider. All these figures hold symbolic value in the Nazca culture. The fingers of the monkey quantify the drought faced by the locals every year and the spider is supposed to be symbolic of water and fertility. After which you will be free to relax and organize your lunch. In the morning at the scheduled time you will be picked up to continue the journey to Chivay. Early into the tour you will feast your eyes on the magnificent views of the Misti, Chachani and Pichu Pichu volcanoes as you draw near National Reserve of “Pampa Cañahuas”. Upon reaching the reserve you can witness the wild Vicuñas in their natural habitat. 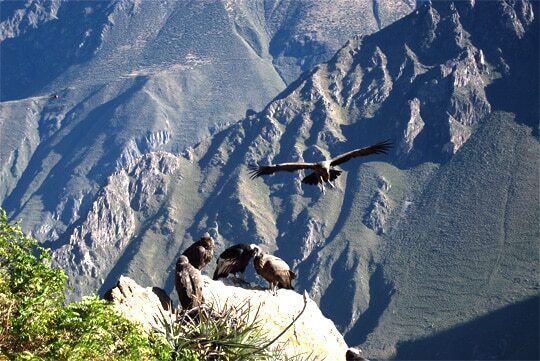 The second day in Colca, after breakfast we will drive to Cross of the Condor, where you can see the largest Andean flying condors (largest in western hemisphere). 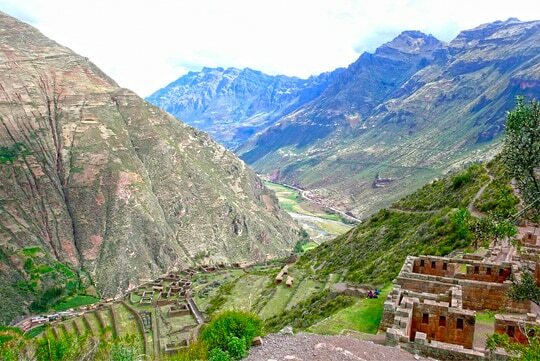 Then we will move on to visit Colca Valley in Cruz del Cóndor. This is the second deepest canyon on earth. Along the way back to Chivay we will have the chance to see the town of Pinchollo; as well as the “Antahuilque watching point” to view a marvelous terrace built 1500 years ago by the Collagua civilization. Another stop over will be at viewpoints “Choquetico” and “Tumbas colgantes” which means ‘hanging tombs’. We depart early by motorboat. About 45 minutes later, we will arrive at the reed banks of the Lake Titicaca National Reserve. There, we will visit two different floating islands; man-made platforms built with totora reeds. We have the opportunity to step on them, observe the houses from inside and out, and even take a ride on a reed boat with one of the local fisherman. It is amazing to see an entire floating village with its thatched reed roofs. From there, we will continue 1.5 hours to Taquile Island. Along the way, we will have some Aymara language lessons & more. We will arrive at this unique place in the most secluded section of the island. Apart from it being the least visited sector of Taquile Island, there is also a pristine sandy beach to enjoy. Breakfast in the hotel and private transfer to the bus station, bus depart Puno at 06:45 am, then enjoy the landscape while traveling by bus to Cusco. Along the way you will stop in la Raya to take a short break, and enjoy the view to the snow mountain, and also we will stop in Sicuani town for our lunch in a local restaurant. Pick up from your hotel at 08:00 am, then you will continue to the picturesque town of Pisac, in about 50 minutes driven we will arrive to this town, short ride 25 more minutes up to Pisac archeological site. Here you will participate in the guided tour, visiting all its holy places including terraces, aqueducts, paths that are associated to walls and gates, water channels, cemeteries, bridges, etc. Breakfast at the hotel; transfer to Cusco airport for your flight to Puerto Maldonado; upon arrival from Cusco, reception by an English speaking guide and transfer by car one hour along a dirt road to Puerto Nuevo (Port) in the Native Community of Infierno from where we board our boat one and a half hour along the Tambopata River to reach the lodge. The lodge is located on the inside the buffer zone of the Tambopata National Reserve and Bahuaja Sonene National Park. Along the journey by boat you have the opportunity to appreciate the flora along the River bank made up principally of cañabravales, cecropias, ficus, as well as the fauna such as birds. Breakfast at lodge; transfer by boat – Lodge to Tambopata River port then to Puerto Maldonado, we retrace our river and road journey back to Puerto Maldonado, our office and the airport. Depending on airline schedules, this may require dawn departures. Go Get Peru organizes Group Peru Tours for reasonable prices including expert travel designers which always answer you questions or problems you may have.